feast. Thirsty? Drink a Pepsi or Cheerwine in the state where they were born, or raise a glass to more than 100 wineries, 80-plus breweries and even a dozen microdistilleries where you can sample legal moonshine and more. Foodies can savor homegrown culinary creations all across North Carolina. Fill in the form below and we'll send you an email with all our current deals for North Carolina. Titina, a celebrated chef in her native Capri and author of two wonderful authentic Italian cookbooks, brings her unique culinary talents to Morrisville, North Carolina. Cooking classes are conducted three times weekly in her expansive, professionally equipped, modern kitchen. We run Hands-On Cooking Classes, inside a farmer’s market, focusing on local, healthy, and sustainable ingredients. Bring a friend and some wine, roll up your sleeves and learn to cook healthy! Chef Alyssa is a former executive chef while having twice cooked at James Beard House in NYC. Come and enjoy our love of cooking. Watch it all come together while learning some of the industry’s trade secrets. You’ll learn new recipes that you can take back to your own kitchen, while enjoying the fruits of your labor along the way. Forget all you know about cooking classes and welcome to our version of “Hell’s Kitchen.” There will be mistakes, there may be tears, and you will eat what you cook. We want you to love to cook, and our intimate, approachable classroom is the perfect place to make that happen. We have classes to match all skill levels and interests, from sharpening your knife skills to trying your hand at handmade pasta. In the cooking program at the Folk School you’ll experience the pleasure of preparing heart-warming foods that yield both sustenance for the body and nourishment for the soul. There’s an art to cooking and you can explore it in our many week-long and weekend classes. Breads, soups, pastries and sweets, hearth cooking, cooking from the garden, traditional foods of various nationalities. They’re all here in our beautiful and functional cooking studio. When you take a class at Lenore’s, you will learn how to prepare traditional and fermented foods, grains and conscious protein choices. Recognize how foods affect your moods, appeal to the senses and how to use them to achieve greater balance. Come join the fun. Experience Madelyn's expert skills, knowledgeable hints and tasty treats at her “Cooking in the Grove” cooking classes. Classes include instruction, food tastings and a gift. Once a month, Scott Howell will do a cooking class at Nana’s. The classes will be a mix of instructional lecture and hands-on participation. At the end of each class, we’ll sit down to enjoy the fruits of our labor. Cookin' Outer Banks Style will feature cooking tips, techniques and tastes of the Outer Banks. Learn how to prepare local watermen's freshest catches. Classes emphasize the Slow Food philosophy and use the best seasonal, local produce. My cooking classes are about eating in a healthy way and enjoying yourself in the kitchen. Pure and simple, I love to cook. I love the flavors and gifts of natural ingredients, and the magical experience of tastes created when they are combined in innovative and imaginative ways. Our popular cooking classes are taught in a fun and relaxed atmosphere and you will come away with great ideas and recipes for your own special meals and parties. Generous food samples are also served. Saturday classes take place from 11 a.m. to 2 p.m.; Sunday classes from 1 to 4 p.m. All Demonstration Classes are $35, Hands-On Classes are $90, unless otherwise noted. We look forward to seeing you at one of this summer’s Cooking Classes soon. Attend one of our popular cooking classes and get in touch with your inner chef. Each class will center around a themed menu. You’ll watch one of our executive chefs prepare it as you observe and take notes on how to make it yourself at home. Culinary lessons at A Southern Season provides an epicurean education dished up with a heaping serving of expertise and style. Learn from regional notables and internationally renowned celebrity chefs as they share secrets, techniques and recipes in a cooking classroom that redefines the concept. The Swannanoa School of Culinary Arts offers week-long hands-on immersion in a variety of culinary experiences designed to awaken and broaden the palate, and lead you closer to the source of the food you prepare. Tour worldwide with the White House Chefs for an unforgettable culinary cooking experience! Or visit our inn and institute. An Intimate Evening Cooking with Chef Arthur. Join Arthur Gordon in the Irregardless kitchen and experience the Irregardless philosophy, learn cooking techniques and be nourished in many ways. The Tiny Chef specializes in private dinners, cooking classes, and chef demonstrations in the comfort of your own home! Please call 704-241-1944 if you would like more detail on our programs, or wish to receive a quote. Whisking Apprentice teaches you how to cook tastefully nutritious meals through private lessons, group classes, and cooking parties. Learn a new skill, eat delicious food, and have fun with family and friends in the kitchen! Wynton’s World cooking school features some of the most recognizable and successful culinary educational classes for adult and teen in the triangle area. Our general cooking classes, private events and tours are built on years of learning from the best. Our inspiration comes from the experts within the triangle. The annual festival will feature the handcrafted beers of over 40 microbreweries. Over 100 wines available for tasting while strolling through the barn and tasting appetizers from area chefs. 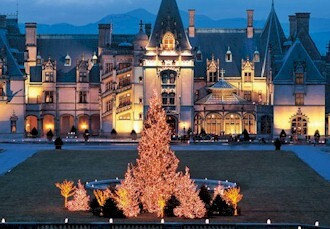 Featuring wineries from throughout NC, and fine cuisine created by Blowing Rock chefs, music, and downtown activities. Truck loads of strawberries will be available and there will be a fruit-filled menu--from strawberry funnel cakes to strawberry pies. Find every type of garden & cooking herb imaginable, also see how herbs are transformed into medicines, salves, balms, soaps and teas. With a barbecue cook-off, “What’s That Yam Thing?” contest, and food vendors, both ham and yams abound. NC's finest craft beers, a day packed full of great music, food, beer education, and a chance to learn about area non-profits. In addition to sampling a wide variety of wines and beers, you'll have the opportunity to enjoy scrumptious bites from top area chefs and caterers. National Potato Peeling Contest, Food, Street Fair, Live Entertainment, Rides, Games and Much More. Dozens of North Carolina food companies and wineries will be sampling and selling some of the most delightful flavors NC has to offer. Judging of the 20 Cooking Teams. Licensed by North Carolina Pork Council. BBQ Meal under the Big Top, Strawberry Shortcake. North Carolina's Best Wine All In One Place. It's wine, food, crafts, great music and more! Enjoy tasting more than 100 different varieties of North Carolina wines from sweet to dry! Over 30 wineries, delicious food, musical entertainment, & the "North Carolina Food & Wine University," an interactive and fun educational area. Enjoy delicious food and entertainment that is enjoyable for all ages. Scottish Fun, Food, Fashion, Music, Dancers, Games, Clans, Border Collie Demos, Crafters, Entertainment and Culture for the whole family! Enjoy the area's finest entertainment, artisans, antique cars, food vendors and of course the Festival's main attraction Blueberries! Summer fun for all visitors--music, pageant, blackberry eating & recipe contests and children's activities. Come chill with the most sizzling BBQ competition teams in the southeast and the hottest bluegrass in the nation! The Peach Festival is a celebration of the peach growing heritage prevalent in the Candor and Sandhills area. An annual celebration of the agricultural community on Knotts Island with food & craft vendors, entertainers, displays, peaches and more peaches! A big outdoor summer bash with a homegrown backyard feel. Browse the arts and crafts of hundreds of vendors, see honey bee demonstrations, sample festival food and participate in a 5K run.